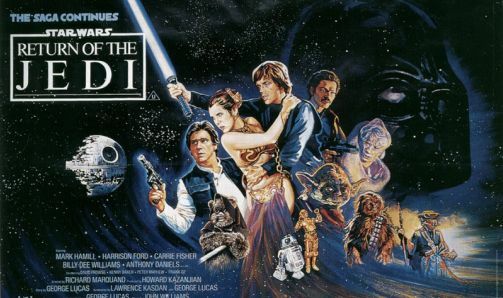 A few days ago it was reported in the L.A. Times, by columnist Geoff Boucher, as he was interviewing former Star Wars producer Gary Kurtz, that George Lucas rewrote Return of the Jedi in order to not hurt toy sales. Does this surprise any of us? So instead of the thoughtful more real ending that could have been, we were instead fed a heavy helping of crap from the Lucas marketing machine in order to sell more toys and more merchandising. Again I ask: Does this surprise anyone at all?